There must have been a holy precinct extending west from the city of Midye (now Kıyıköy) in the 6th century. 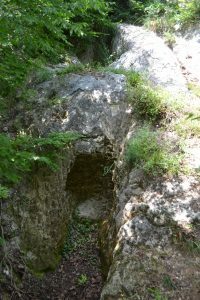 500 metres east of the Çalışkan Farm cave church and a kilometer west of the Aya Nikola Monastery lies a field of roughly carved rock graves – a necropolis. In the centre of these is what may have been the funerary chapel(41.629434875276, 28.068034333229) . It is a small structure, accessed by an opening to the south and about three metres along its main east-west axis. It is about 1.5 metres high, not enough height to allow standing room. 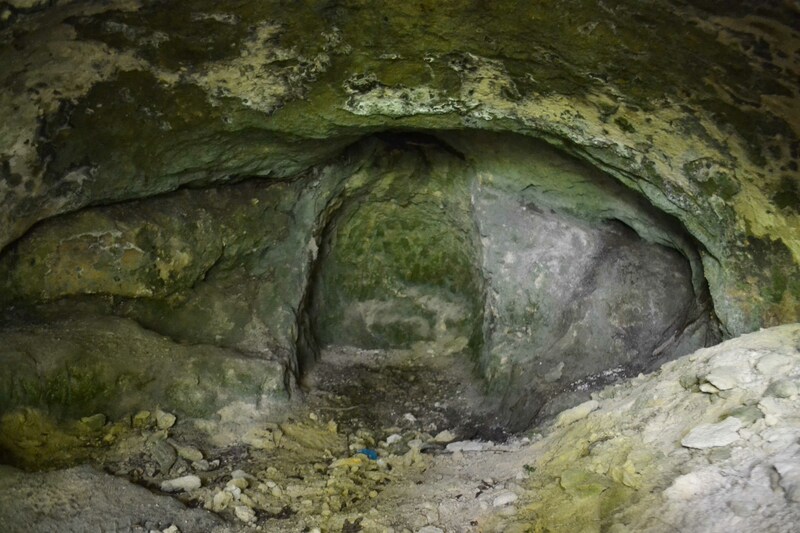 It is probable that this was an intricate grave rather than a chapel, but the carved fixtures do not seem to allow sufficient space for a body or bodies to have been placed within. For a while, this structure was augmented by a concrete slab roof, enabling it to be used for farm storage. The concrete is now gone. 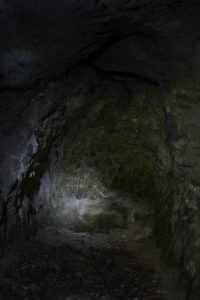 There is evidence that treasure-hunters have tried their luck here but realized fairly quickly that once they started digging into bedrock, their chances of finding treasure were zero. 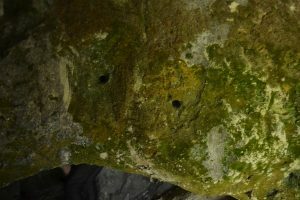 The rock face, only about 30m from the main Kıyıköy – Vize road, is honeycombed with graves. 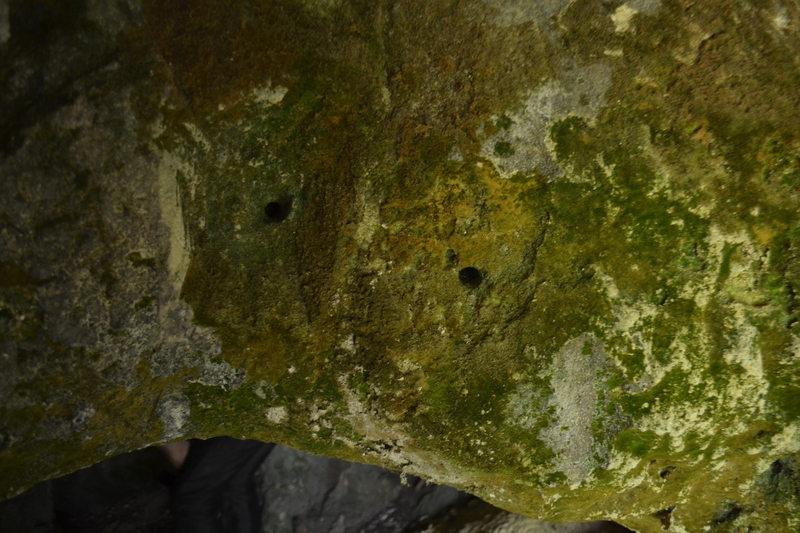 These are all eroded as one would expect from a thousand years of limestone weathering. The coastal heathland around the necropolis is home to some interesting seasonal flowers. 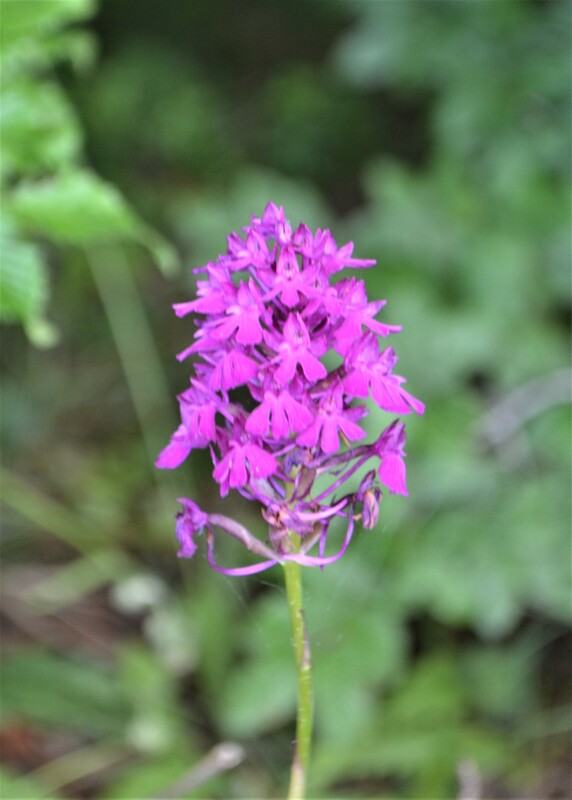 In early summer, the pyramid orchids are in flower.